Looking out my Post Falls window earlier this afternoon, I was excited to see our first snowfall of the year! 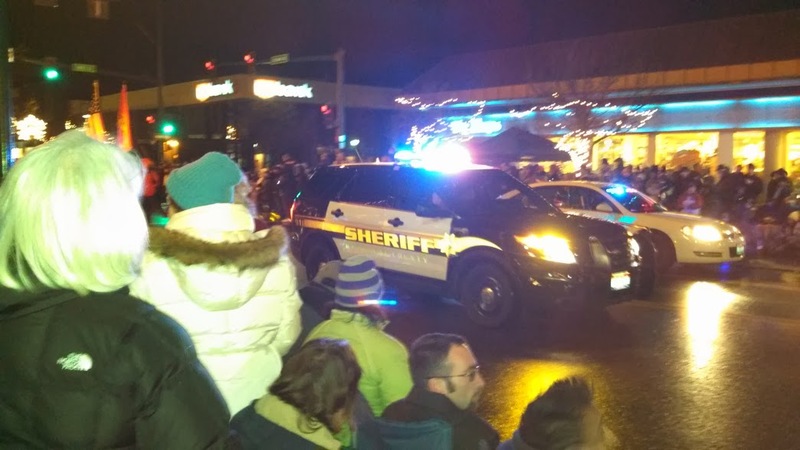 My 12-year old daughter is leading the Coeur d’Alene Holiday Parade tonight, though, along with the rest of the 2013 Figpickels Board of Directors. I hoped it wouldn’t flop due to the weather. Luckily, everyone in town turned out. It was festive, fun, and didn’t even feel cold. We bought hot cocoa and cookies, people watched & just generally enjoyed the holiday kick-off. It’s Christmas time!